Whether you’re angling for success in the big tech companies or a small start-up, Rajeev Dujari has the technical and interpersonal savvy to get you there. 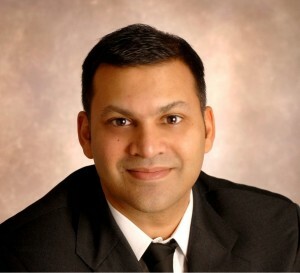 As Head Coach of Feroce and a serial entrepreneur and start-up guy, I can speak directly to the almost unbelievable talent of Executive IT Career Coach Rajeev Dujari — I met him when he was the main technology adviser for my last VC-backed start-up, Earth Class Mail, and then worked closely with him once he jumped the abyss from the Microsoft ship to our much smaller, higher-stakes boat. There, he was SVP of Product, but also a rare business strategist. Rajeev is not only a fantastically smart and capable engineer and product manager, as you’ll see below, but he has an uncommon understanding of people and the relationships among them — a perfect combination for his work with IT and tech careerists. Some people in IT and tech careers feel that they lack a certain sophistication about the politics and interpersonal relationships in their organizations. Rajeev is that rare technologist who has interpersonal savvy to spare. He is keenly aware of the dynamics of leadership, respect, and image (or brand) within tech organizations, and he is a master strategist in negotiating the human aspects of them. Rajeev holds two degrees from MIT, a BS in Electrical Engineering and an MS in Computer Science. He launched his career at Microsoft, rising from entry-level Software Developer to Product Unit Manager. He made key technical and leadership contributions to high-stakes products including Windows (3.11, 95, 2000, XP), Internet Explorer (during the browser wars with Netscape), Exchange Server (2003), Office Live Meeting (2005, 2007) and Visual Studio (2008). Some of his innovations resulted in his being named an inventor on 14 U.S. patents assigned to the Microsoft portfolio. He also honed his recruiting skills and was designated a mentor to a tightly controlled group of interviewers trusted to sign off on hires. “It was a whirlwind 15 years,” he says. He diversified by investing in five technology start-ups, and later jumped to Earth Class Mail, starting as our first product manager (VP of Product) and then heading up our products group (SVP), both reporting directly to the CEO. In his start-up career Rajeev scoped the company’s first enterprise launch, initiated the company’s first electronic check deposit program, and then I saw his work intimately as we negotiated a strategic license to a multi-national postal and banking operator. Recently, he’s continued with coaching as well as consulting with start-ups raising angel capital. As you can see, Rajeev has first-hand experience in many different IT career domains, has transitioned many between many different roles, worked with companies of widely varying sizes, and has evolved from technical go-getter to organizational leader to business executive. While all of the career coaches at Feroce will be able to help you unlock your objectives and find the keys to success, Rajeev’s background will provide uniquely helpful perspective for planning continued success in your career. Trust me. Try him. Ask for a free consultation now. You’ve got everything to gain.